Barn Find! 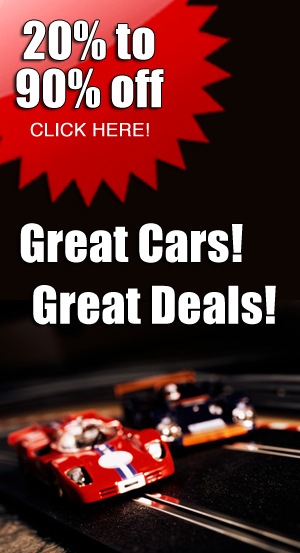 The most collectible Slot Classic car? 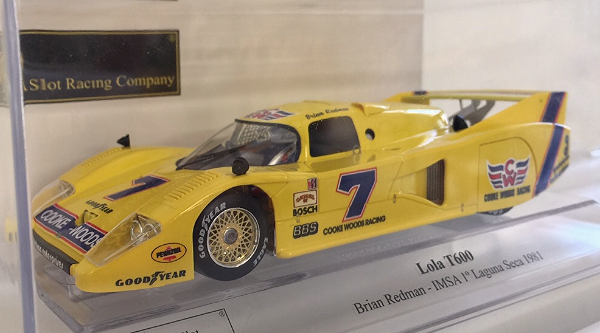 Slot Classics produced these hand-made cast-resin BMWs with etched metal details ready-to-race as their 10th anniversary car in 2006. The anniversary package included a cast resin diorama base and a 190-page hardback history of Slot Classics cars book. We found one in the warehouse still in the original package and never run. Because of its rarity it is not returnable. Slot Classics CJ5/1 BMW 328 1939 with diorma & 190-page SLOT CLASSIC THE 10TH ANNIVERSARY book. 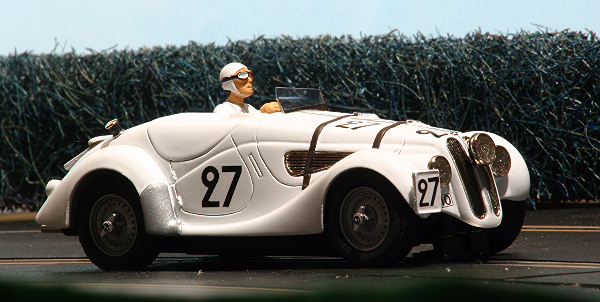 Slot Classics BMW 328 that finished 7th at LeMans in 1939. 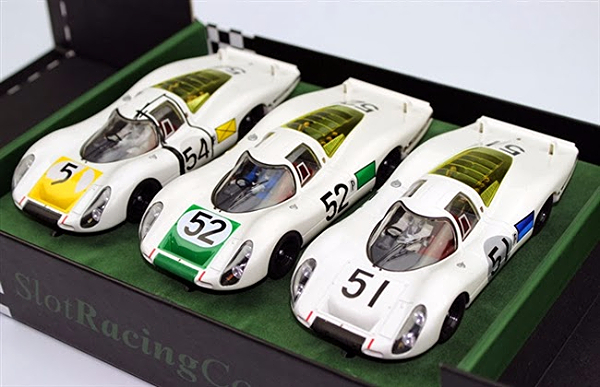 These models are “10th Anniversary Commemorative” editions and were only available fully-assembled in a package that includes a diorama depicting the 1939 LeMans course with the typical wattle and earth spectator barriers of LeMans and a 190-page hardback book SLOT CLASSIC THE 10TH ANNIVERSARY COLLECTOR’S GUIDE, by Uwe Kitza. This week we have new cars from Proto Slot, SRC and Carrera. 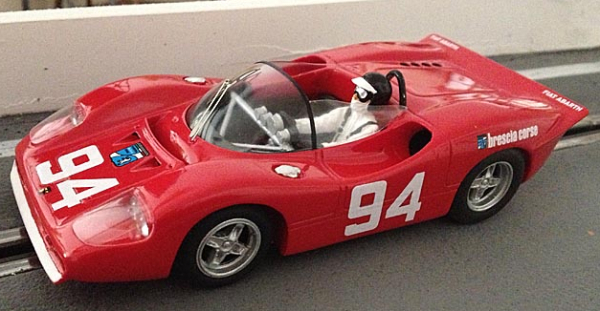 Abarth 2000 Targa-Florio 1970 driven by “Pam” and “Gi-Bi” ready-to-race 1/32 scale painted hand-made cast-resin body with metal chassis. Superb quality and detail. Made in France. 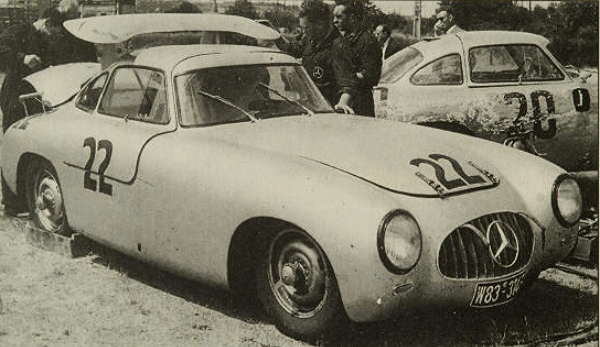 Abarth 2000 Targa-Florio 1970 driven by “Pam” and “Gi-Bi”. PAINTED BODY KIT. 1/32 scale painted hand-made cast-resin body kit. Superb quality and detail. Made in France. Pictures show fully assembled car. The body can be adapted to most brands of chassis but the Proto Slot Kit KR02C metal chassis with Proto SLot Kit SR15 tires and wheels are designed for this car. 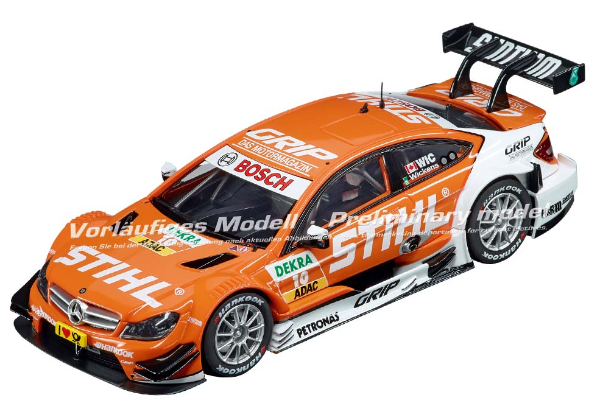 Usually the model car manufacturers supply photos of hand-lettered preproduction models. This time, SRC has furnished the actual artwork that will be used to pad-print the cars. 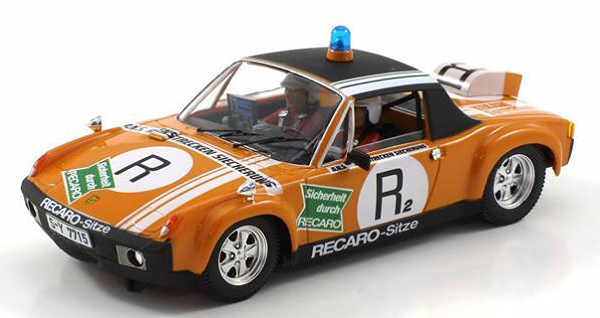 SRC 01605 Porsche 914/6 Nurburgring Safety Car. 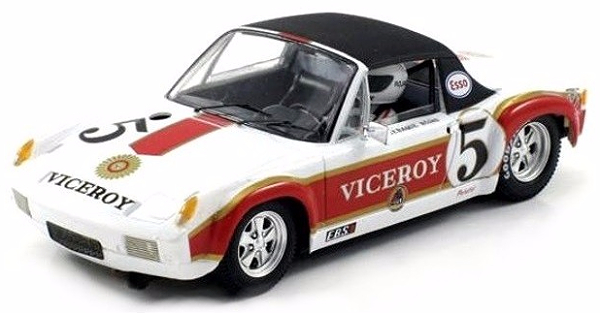 Porsche 914/6 no. 5 Mexico 1973 LIMITED EDITION. Sidewinder SP-size motor with one-piece chassis. 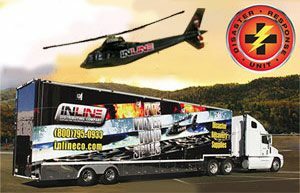 We received a massive Carrera early fall shipment with 1/32, 1/24 and 1/43 scale cars, a new 1/32 scale set and the “Grid Ladies”. There was a unanimously positive reaction among the motorsport press at the unveiling ceremony of Ferrari’s first ever supersportscar to be powered by a hybrid engine can produce up to 963 hp, not only making it the Italians’ most powerful car, but also putting it way ahead of the competition in terms of design. 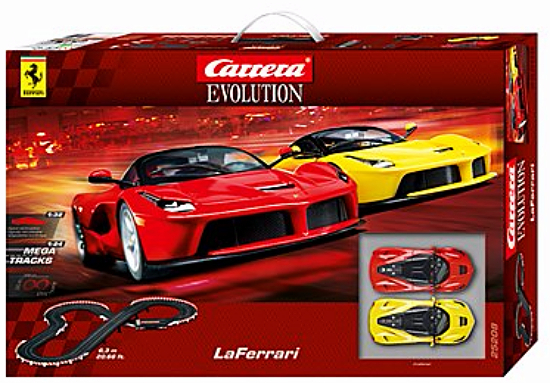 This Carrera battle of the giants set with LaFerrari cars in yellow and red will allow the drivers to show who’s the fastest jockey in the stable. The LaFerrari is the only car in its class with a parallel hybrid engine without an external recharging option. On electricity alone it can only manage 5 km/h. What makes it so electrifying is that this powerboost optimises the whole power output of the 6.3-litre engine. Surplus energy from petrol combustion power is stored as electricity via the generator. This soaks up the extreme braking on the 20.7-foot double bend immediately. The question is, which driver can exploit these technical advances to his benefit? The Shelby Cobra was developed by an American race driver Carrol Shelby and British car manufacturer AC. The Cobra brand achieved legend status in 1961 when the AC Ace was fitted with a 4.3-litre V8 Ford engine. The resultant Shelby Cobra is still considered one of the most venomous cars ever to have raced. Always ahead of the rest. In their very first race the DTM AMG Mercedes C-Coupes recorded a stunning 1st & 2nd place victory. In 2012 the 500 hp racing car replaced the DTM AMG Mercedes C-Klasse – the most successful car in DTM history, having won 85 of its 159 races. The current version features an oil cooler on the grill of the AMG production model. On the 28th May 2011 at the VLN long distance championships at the Nürburgring, the Porsche GT3 RSR hybrid celebrated its first victory. It sped around the Nordschleife fitted with a 6-cylinder boxer engine and a bludgeoning 480 hp. The Shelby Cobra was developed by an American race driver Carrol Shelby and British car manufacturer AC. It’s a thrilling eye-catcher – also in the hard-top version. The Cobra brand achieved legend status in 1961 when the AC Ace was fitted with a 4.3-litre V8 Ford engine. The resultant Shelby Cobra is still considered one of the most venomous cars ever to have raced. The Shelby Cobra was developed by an American race driver Carrol Shelby and British car manufacturer AC. The Cobra brand achieved legend status in 1961 when the AC Ace was fitted with a 4.3-litre V8 Ford engine. A victory for the history books. Carrera 21123 Grid Ladies, set of 5 figures. This set is very rare so make sure you grab yours! The Martini International Racing Team finished 7th and 9th at the 6-hour race at Watkins Glen Race Course. Hardly surprising, since the Porsche 917K racing car could displace 4.5 litres and produce 383 kW of power, making it one of the cc giants of its era. The K stood for shorttail (Kurzheck) and it was designed to suits bendy circuits. Not only were the specs and techs impressive, the psychedelic design with green and blue swirls gave this automobile an unmistakeable retro hippy look. The Porsche 917 K Martini International ‘No.35’, Watkins Glen 6 Hour 1970 has operating head and tail lights and faithfully reproduced details. The Porsche 911 GT3 R in the unique Haribo livery is a guarantee for a place at the front of the field in any long distance race. Whichever driver climbs into the cockpit of the black-clad racer, 500 hp under the hood and a top speed of 290 km/h ensure he’s at the front of the field on the final lap. Richard Westbrook ended up on the winner’s rostrum in the 12-hour race in Sebring. Norbert Siedler won at the Norisring circuit. The Haribo Racing Team GT3 boasts a stunning design that hints at the power the 4.0-litre, 6-cylinder boxer engine can produce. The Porsche GT3 RSR ‘Haribo Racing’ has operating head and tail lights and faithfully reproduced details. The Ferrari 330 P4 was unrivalled thanks to its construction. The key was the engine block featuring 12 cylinders – the first to have three valves per cylinder. This increased the power output of this bright red 1967 racer to an incredible 450 hp at 8000 rpm. 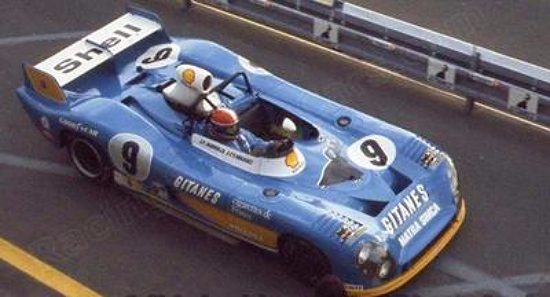 It finished first adn secodn at Monza, and in 1967 beat Porsche to the world championship by 2 points. This sealed its reputation as one of the most popular Ferraris of all time. 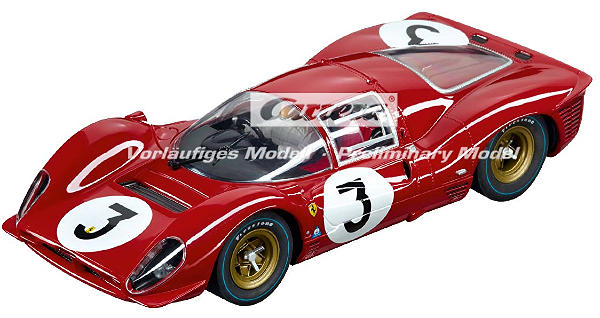 The Ferrari 330 P4 ‘No.03’, Monza 1967 has operating head and tail lights and faithfully reproduced details. This car can be raced only on the Carrera Digital 143 system. The current silver arrow is raising the pulses of Formula 1 fans all over the world. Lewis Hamilton, the driver of this hybrid car, is daring and highly-motivated, and has just crossed the finish line in first place to secure the 2014 Formula 1 world championship. The car and the driver are both born winners, investing courage and spirit to turn every race into a home grand prix. 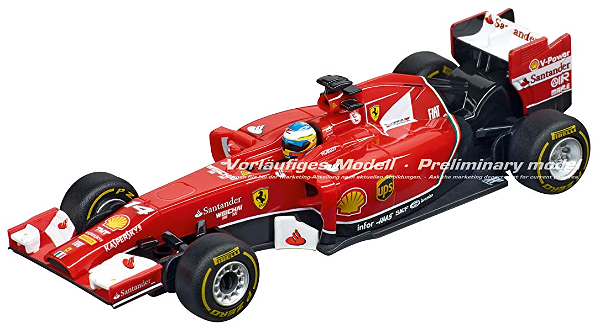 The Ferrari F14 T, driven by two-time world champion Fernando Alonso, is a ‘must’ in any good slotcar grand prix. After all, speed is a genetic trait with Ferrari. And it’s all about speed on the Carrera circuit with tricky bends and daring loops. 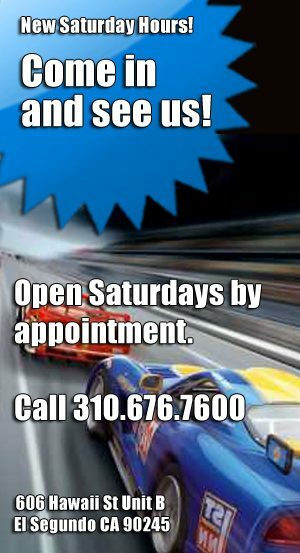 Who can churn out the best lap times, again and again, while staying in control and on the tracks? Ferrari drivers all receive the same orders – to drive to victory every time, to set track records and become legends. The Carrera GO!!! 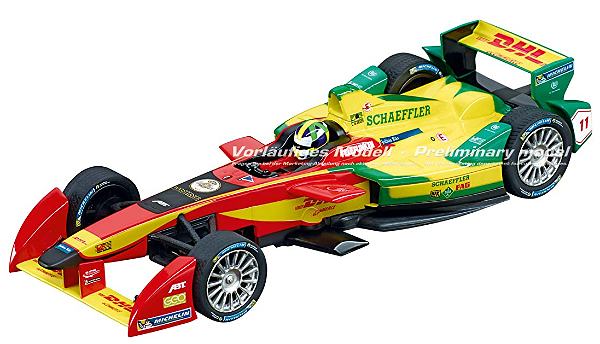 Ferrari F14 T Slotcar guarantees thrills with an authentic appearance and numerous details. 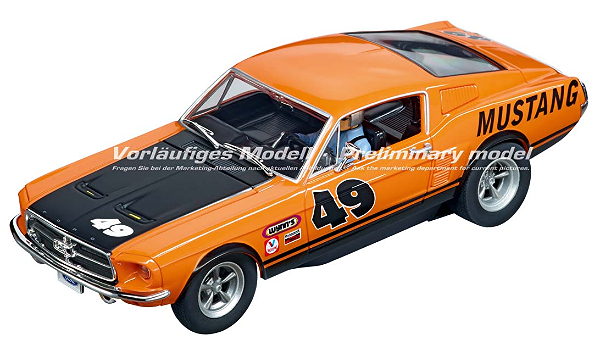 This Carrera car is an ideal way of entering the Carrera world of racing for children of 6 years and up! The BMW M3 DTM harbours an incredible 480 hp under the hood as it stretches the gap to the cars behind, lap after lap. There’s also lots of fun involved as it roars around the racetrack. However, it’s vital you have everything completely under control, otherwise there could be some hair-raising situations. Once you’re in control, you’ll become a regular occupant of the highest spot on the coveted DTM winners’ podium. Let the adventures continue. Mario puts his foot down causing a stir with his buddies on Carrera racetracks once again. Into the bend and top speed around the loop! Mamma mia! Wide-based tyres and uncompromising road-holding make racing a joy and a thrill. Who’s going to win this time? Mario or Luigi? The battle of the super-speedy bothers is back again. The 1/43 scale Carrera GO!!! 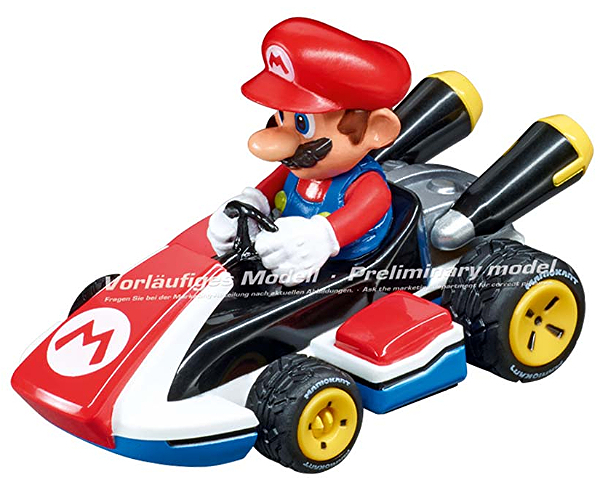 Mario Kart 8 Slotcar Mario guarantees thrills with an authentic appearance and numerous details. This Carrera car is an ideal way of entering the Carrera world of racing for children of 6 years and up! When Luigi puts the pedal to the metal, all hell breaks loose. What could be more fun than battling for victory against your best friends? That’s why Mario, Yoshi and Toad are on this audacious trip. Every one of them wants to win. Luigi accelerates and shoots ahead. Head over tail around the loop – phew! And on he goes! The 1/43 scale Carrera GO!!! 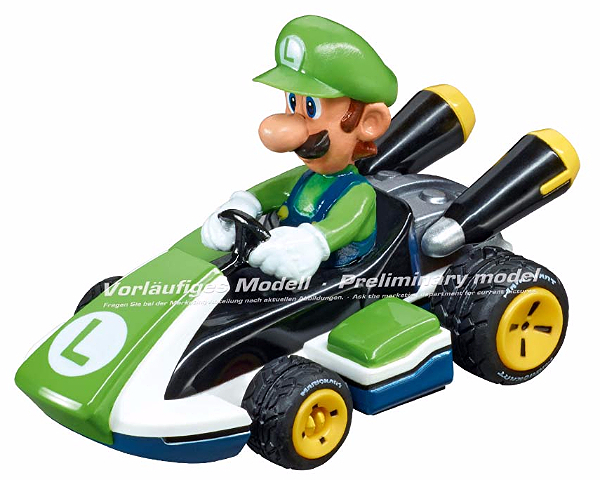 Mario Kart 8 Slotcar Luigi guarantees thrills with an authentic appearance and numerous details. 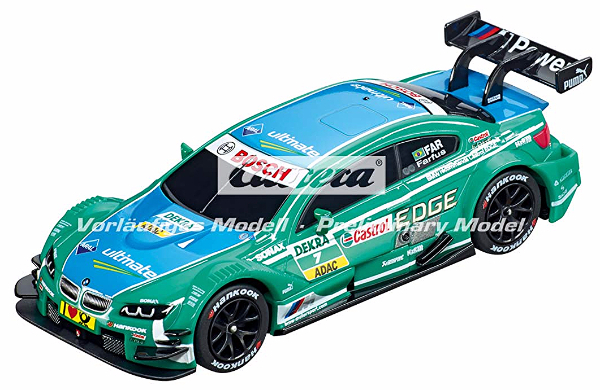 This Carrera car is an ideal way of entering the Carrera world of racing for children of 6 years and up! No jolly cart race on the super-speedy Carrera race circuit is complete without Mario’s faithful companion Yoshi. The friendly dragon is already seated and racing into the next adventure. Stunning speeds and speedy bends make racing great fun. Can Yoshi complete a daring loop? Everybody has their fingers crossed. This race will be decided with skills on the hand-held controls. The 1/43 scale Carrera GO!!! 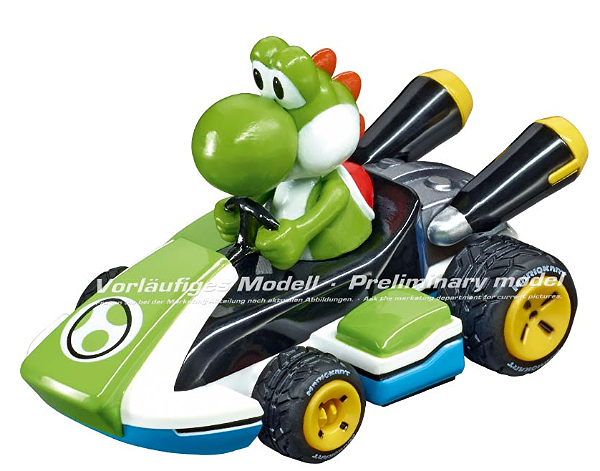 Mario Kart 8 Slotcar Yoshi guarantees thrills with an authentic appearance and numerous details. 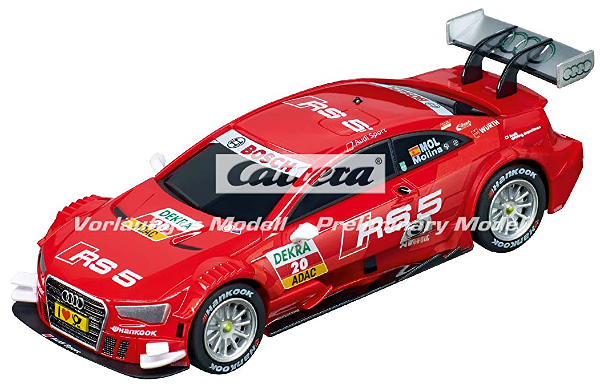 This Carrera car is an ideal way of entering the Carrera world of racing for children of 6 years and up! Mario’s buddy Toad loves adventures and also loves racing against his friends. Ready – set- go! Toad puts his foot down around the super-speedy Carrera racetrack for lap after lap of action and fun. These high-speed racetrack battles require immense skill on the control handset. There’s a challenge around every bend and everyone wants to be a winner. The 1/43 scale Carrera GO!!! 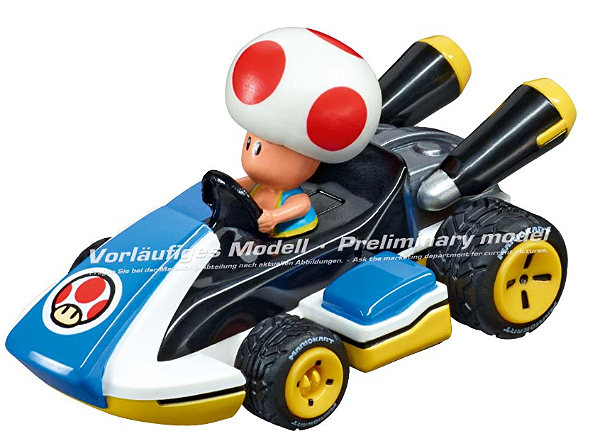 Mario Kart 8 Slotcar Toad guarantees thrills with an authentic appearance and numerous details. 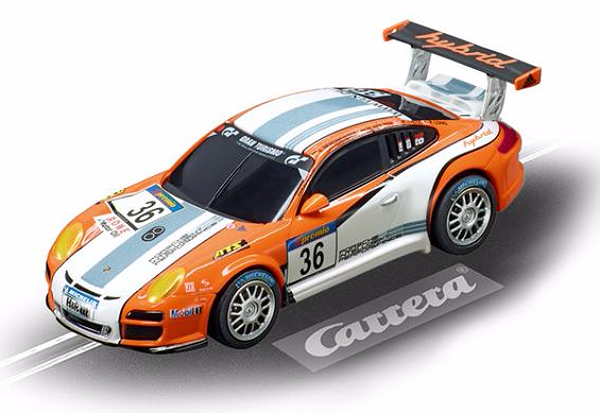 This Carrera car is an ideal way of entering the Carrera world of racing for children of 6 years and up! Keep the pressure on, move ahead of the rest, beat your best laps and go for the world championship like Lewis Hamilton. 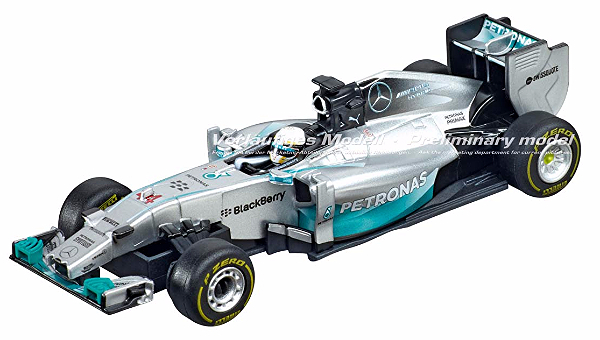 The Mercedes-Benz F1 W05 Hybrid won the 2014 Formula 1 constructors’ championship, and the no.44 – can be found speeding around Carrera race circuits everywhere. Intelligently designed, faithfully detailled and incredibly fast – that’s Lewis Hamilton’s silver arrow in the home-based Formula 1 arenas of the world. The world’s fastest drivers now meet in the supreme class of motor racing. Victory is in the hands of each driver – so press to go and push the accelerator to the limit. 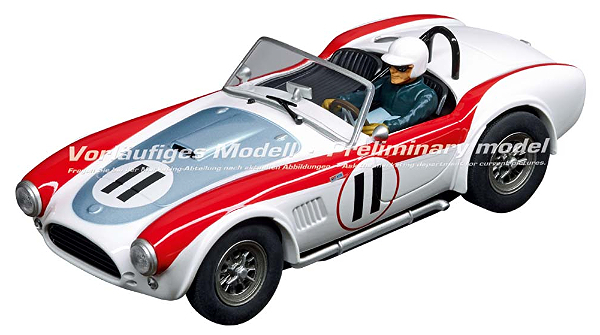 These hand-made models from Slot Classics should be here by September. They are sold out at the factory so be sure to pre-order yours. 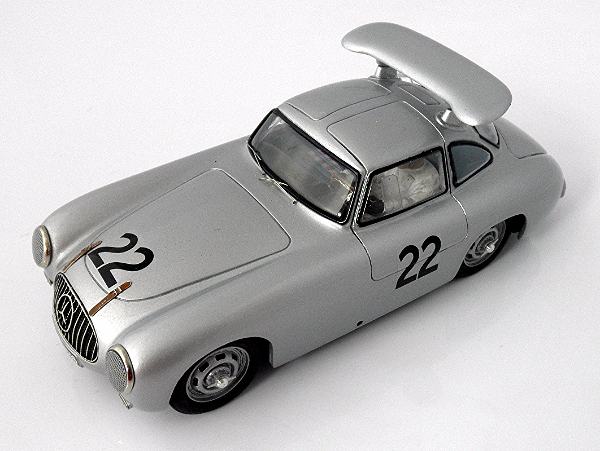 Slot Classics CJ45 (was CJ54) 1952 Mercedes-Benz 300SL Coupe rtr—PRE-ORDER NOW! Slot.It SICA27B Matra Simca MS670B 24h Le Mans 1974—PRE-ORDER NOW! 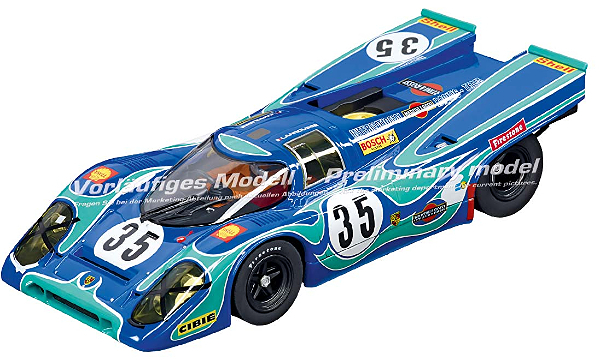 Slot.It SICA09G Porsche 956 KH Nurburgring 1983—PRE-ORDER NOW!